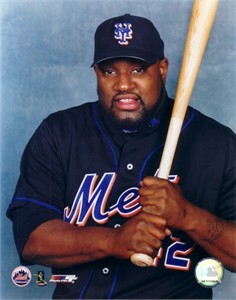 Officially licensed 8x10 photo of former slugger Mo Vaughn from his final years with the New York Mets. Has very minor flaws/wear. NOT AUTOGRAPHED. ONLY TWO AVAILABLE FOR SALE.